Responsive Website vs. 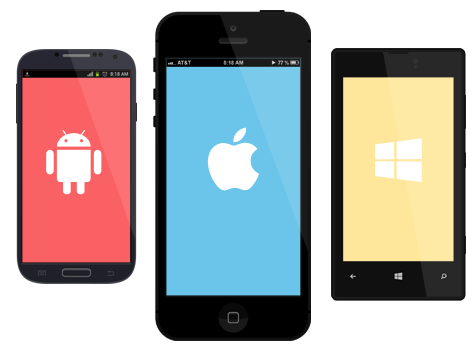 Mobile App: What Suits You Best? The ever-increasing competition is pushing businesses and companies to adopt latest market trends to stay updated and abreast of the competition. For instance, many business organizations have embraced the web and mobility solutions, including RWD (Responsive Web Design) and mobile application development to keep pace with the advancements taking place in the technology world. Today, most of the people prefer to develop mobile apps in a bid to attract new customers. Besides, given the fact that 62 percent of the digital media time is spent on mobile apps, it’s not surprising to see people becoming inclined towards app development. Other than mobile applications, a lot of companies are paying more attention to creating responsive sites to allow people to view their site on any browser and platform. However, the majority of people seem to be confused as to whether they should use a mobile app or a responsive website instead. Below are some critical points that will help you in making the right decision. A mobile app is an excellent tool that enables you to communicate with your customers in a particular way just as you want. In contrary, a responsive site will prove an ideal choice if you wish to display your desktop website version on all the major devices without having to code for each device separately. The biggest benefit of having a mobile application is that it loads quickly compared to a responsive website. Around 74 percent people say they’ll exit a site if it does not load within three seconds. This clearly suggests how crucial it is for you to provide your clients with a fast-loading solution such as an app. Remember, if you are planning over hiring the services of a mobile app development company for your project, make sure that your hired service provider helps in creating a highly performant app. When designing an application for mobile users, you will have to add slightly different content on each page. But that is not the case with responsive sites since they display the same content on desktop and mobile devices. This eventually saves your time in planning and placing the right piece of content on different pages of your mobile app. Moreover, a lot of your time and efforts is likely going to be spent in delivering the right UX to your target users. And remember, you must know exactly what content needs to be displayed on smaller screens. Creating a responsive website requires you to focus on creating only a single version of the site that can be easily accessed on all the devices. But, in the case of mobile app development you need to create two different versions – one for desktop site and other for mobile. Compared to a mobile app, responsive sites take less maintenance time and cost. This is because you only need to work on one single version, unlike an app that requires more maintenance time and cost for taking good care of website and mobile application versions. Besides, changes made to your responsive site will be reflected on all the devices. On the contrary, mobile apps require making changes to both website and mobile web applications. There are several other critical considerations worth exploring that can help you decide whether you should develop a mobile app or a responsive site. But most importantly, such a decision relies upon your project needs. If you want to provide a more personalized experience to your clients, creating an app will best suit your needs. However, a responsive site will befit your needs if you wish to have a site that can adapt to any device. But, if you still cannot make any decision reading this article will hopefully help you in coming to a conclusion.